The Red Buffalo Ranch opened in 1998. We strive to create a safe and enjoyable experience for riders of all ages. We provide a unique experience and offer novice riders a chance to become more familiar with our special trail horses. The Red Buffalo Ranch is located on the edge of Evansburg State Park. Evansburg State Park sits on 3,500 acres of green space for public use. 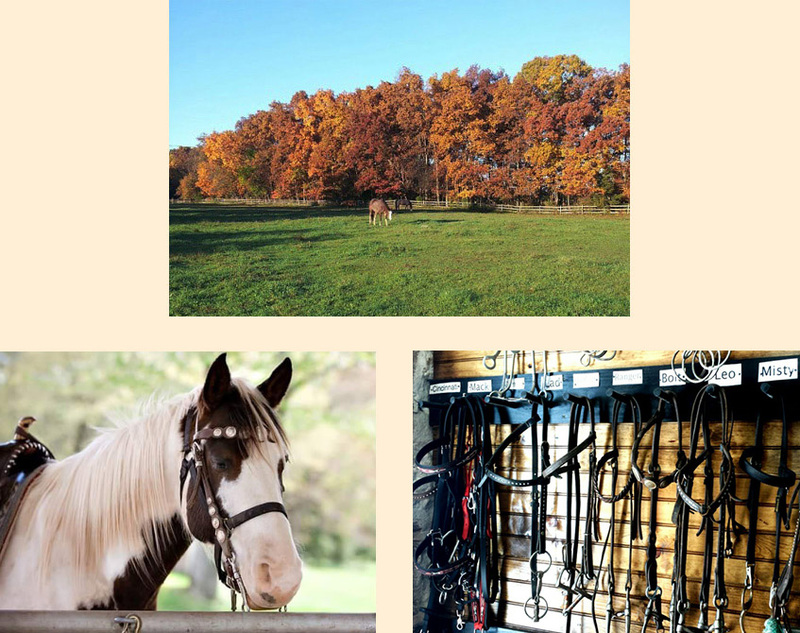 Evansburg has over 15 miles of horseback riding trails that the Ranch can utilize. The Red Buffalo Ranch offers hourly guided trail rides by reservation. We also offer other unique experiences such as our Lunch Ride which consists of a wonderful lunch prepared by the Staff on trail. The Red Buffalo Ranch also offers an unsurpassed summer camp which runs from mid-June to late August. In addition we offer Boy Scout and Girl Scout outings and birthday parties that consist of a tour of our facilities, a beautiful trail ride, and the use of our picturesque picnic grove. Horseback riding lessons are available for riders of ages 5 and up and of any skill level. PLEASE CALL TO SCHEDULE RESERVATIONS.